Or is it "Baby Blue"? "Sky Blue"? 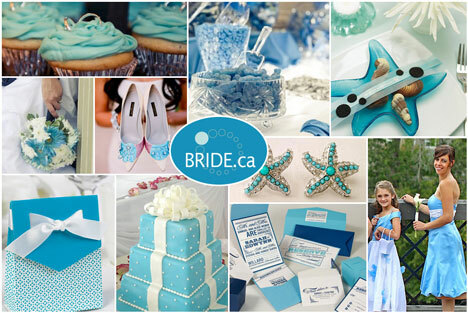 Well, no matter what you call it, light, bright blue is a perfect wedding colour theme for (obviously!) a beach/destination wedding; but also ideally suited to cool down the heat of a late spring or summer event. Happy, hopeful, uplifting, everything your wedding stands for!